October 23, 2015, Rybinsk. 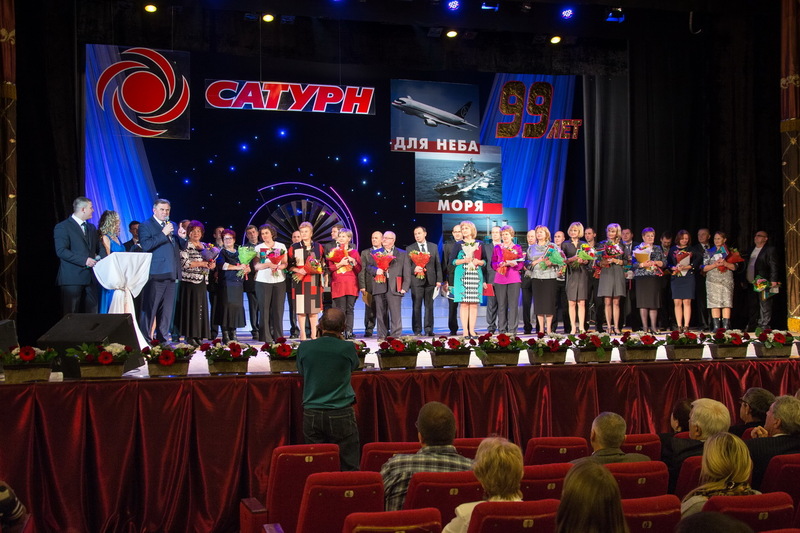 - Reinforcement of the defense, economic and energy security of the Russian state through developing the scientific-technological potential, devising innovative technologies and delivering competitive turbomachinery has always been at the forefront of NPO Saturn’s activity, celebrating its 99th this year. The pool of its customers in the transport, defense and power generation sectors spans companies and organizations from around 30 countries across the world. October 22, 2015, Rybinsk. - On 22 October 2015, the Company’s Day for NPO Saturn, the P.A. Solovyev Rybinsk State Aviation Technical University hosted the presentation of the book titled “Going ahead of his time”, a new corporate publication of NPO Saturn commemorating the 100th birthday of Pyotr Kolesov. Pyotr Alekseyevich Kolesov (1915 - 2004) is a renowned Russian designer of aircraft engines, a laureate of three USSR state prizes (in 1951, in 1971 and in 1979) and from 1960 to 1984 the chief designer at the Rybinsk aircraft engine design bureau. For the first time, the edition incorporates a collection of materials on Mr. Kolesov’s biography, the memoirs of his colleagues and family members as well as some historical reference data on the engines designed by the Rybinsk-based design bureau under the leadership of Pyotr Kolesov. October 15, 2015, Rybinsk. - In the course of a re-certification audit, NPO Saturn confirmed once again the compliance of its environmental management with the requirements of the ISO 14001:2004 standard. On October 15, 2015 Svetlana Ulyanova, director of Russian subsidiary of DQS-UL Group, presented the Managing Director NPO Saturn JSC Victor Polyakov with a certificate granted by the DQS-UL Group valid for another three years. October 13, 2015, Rybinsk. - Working in conjunction in the frame of preparing engineering staff, NPO Saturn and P.A. Solovev Rybinsk State Aviation Technical University (RSATU) carry out both the long-term educational programs for contracted undergraduate students, postgraduate students and Ph.D’s and the short-term qualification enhancement programs and new trainings for the company’s employees.